I do not know about your kids but I think my boys think candy is a food group! I think they would live off of it if they could! As a mom, of course I try to limit the amount they eat due to all of the SUGAR! Recently I was introduced to the SUGAR FREE Ring Pop ! Yes, Ring Pop ( don't tell me I was the only who ate these as a kid). Now they are available in Sugar Free, and to my surprise my boys could NOT tell the difference! Bryce Enjoying his Sugar Free Ring Pop by the Pool! Ring Pop is the ideal treat for today’s active kids. It’s a candy kids can wear on their finger, so they never have to worry about dropping it! Now you can feel even better about giving Ring Pop to your kids because the new Sugar Free Ring Pop won’t cause cavities, has no fat, and has only 30 calories per great-tasting, long-lasting pop. It’s candy your kids will love and you won’t have to worry about giving it to them! Sugar Free Ring Pop comes in three mouth-watering flavors: Blue Raspberry, Watermelon, and Strawberry! Look for it at Wal-Mart Stores nationwide. 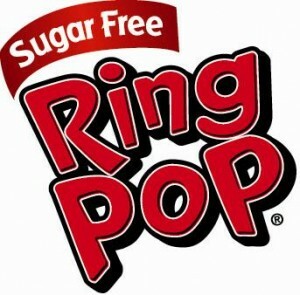 For more info, visit the official website (http://ringpop.com/) or Facebook fan page (http://www.facebook.com/ringpop). Tell us what flavor of Sugar Free Ring Pop would you or your kids want to try? One winner will be chosen ! 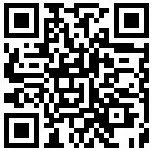 I will be using a random number generator to select the winner. Contest ends at 11:59pm CST on 6/6/10. If the prize is not claimed in 48 hours a new winner will be chosen.Contest open to U.S. residents only. I'd like to try the watermelon. I would like to try the Watermelon! I'd like to get them the watermelon to try. I'm already a email subscriber. would love to try the blue raspberry! We'd love to try blue raspberry! May 23, 2010 at 1:10 PM This comment has been removed by the author. I want to try the watermelon. I'd like them to try Blue Raspberry. I think that watermelon sounds good. Blue Raspberry would be my choice! My daughter would try the watermelon flavor. I would like to try the Blue Raspberry. I wanna try the watermelon. I want to try Watermelon! We'd probably all enjoy the Watermelon. I love the Strawberry flavor!